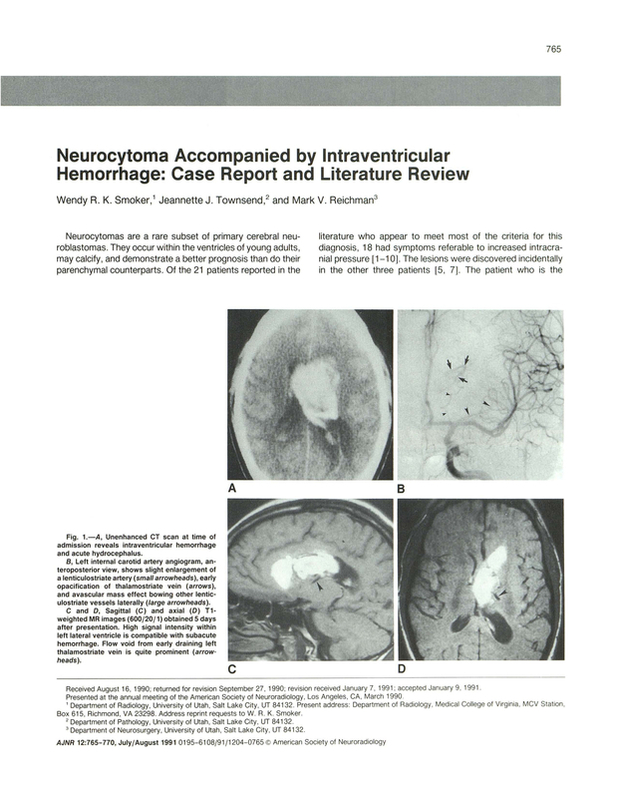 Neurocytoma accompanied by intraventricular hemorrhage: case report and literature review. Department of Radiology, University of Utah, Salt Lake City 84132. You are going to email the following Neurocytoma accompanied by intraventricular hemorrhage: case report and literature review.